When the good folks at Travspire put Kayaking on my agenda it was another instance of an adventure chasing me, on my own I don’t think I would have thought of it! And what an adventure it was! 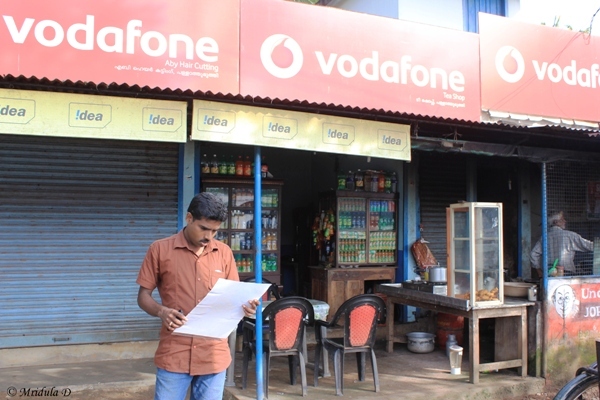 It was a early start on July 28, I woke up at 5.15 am and we headed to Alleppey before six. 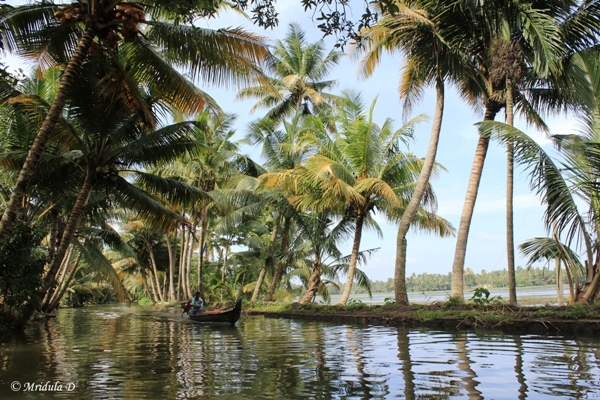 This was my first trip to the Kerala backwaters. Nothing I read prepared me adequately for it. 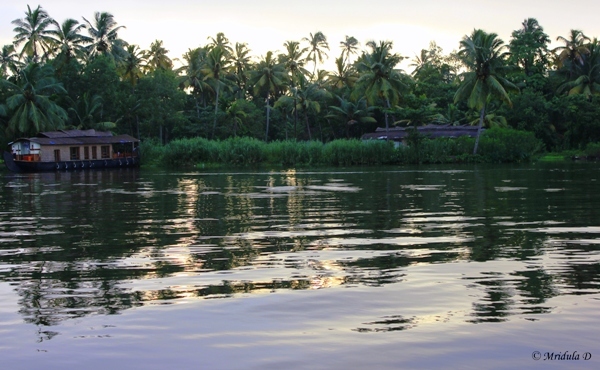 Vembanad Lake is huge with many smaller canals around it. Venice springs to mind as the natural analogy. Houseboats look amazing, as they gently rocked in the morning breeze. However, we had to find Binu our kayak expert first. The canoe boat was waiting for us and soon Binu arrived too. 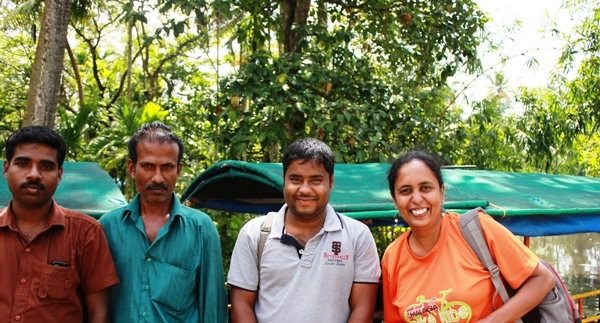 So four of us, the boatman, Appu (who drove me to Alleppey) Binu and I were on our way for an awesome adventure. 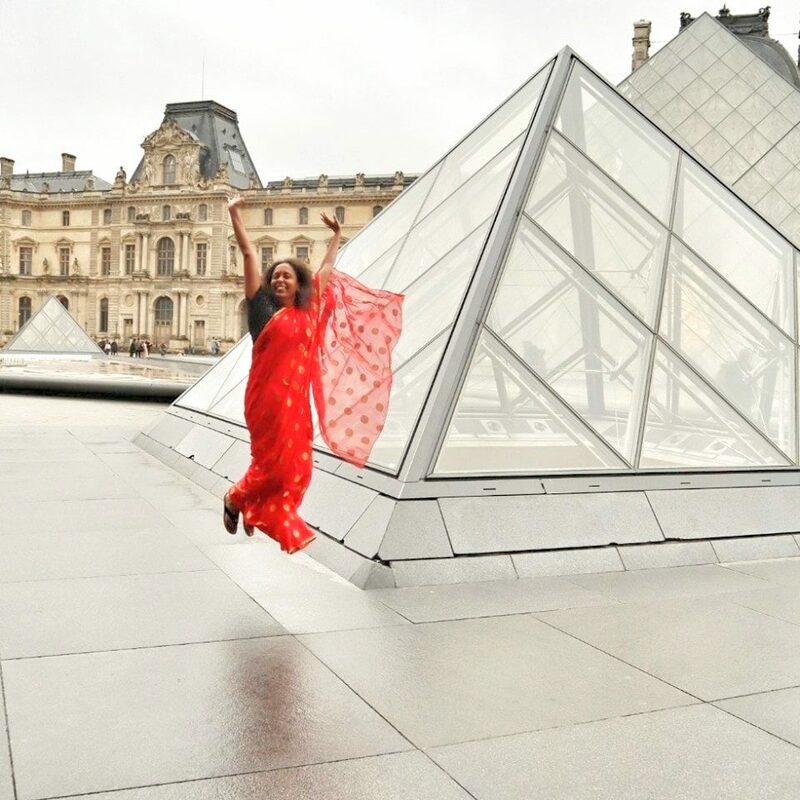 Binu reassured me that no prior experience was required. He asked if I could swim, which I can, only I was not sure how would I fare in a lake. After all, my entire swimming experience is confined to swimming pools, some of them less than 4 feet deep! We were on the way to where the kayaks were stored. I got out barefoot and followed Binu to the Kayak. Just before entering it I hesitated for a moment. With Binu’s instructions I managed to enter without toppling it. After that everything fell in place. I didn’t even remember to get afraid I was so busy having fun. Paddling didn’t feel very difficult because I had an expert with me. I asked him, “How did you get the idea to offer Kayaking?” Binu said he wanted to take people to the smaller canals where the big houseboats can’t go. 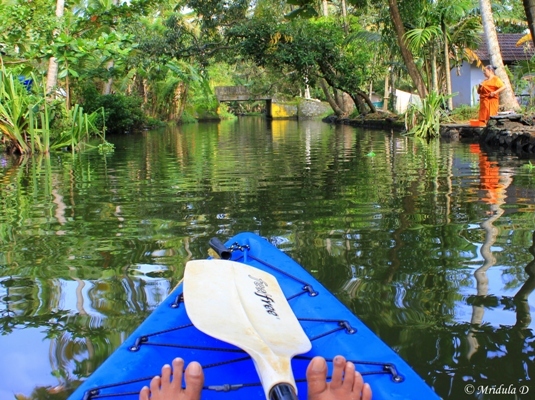 One way is to go in a smaller canoe but kayaking is more intimate. You are this high from the water level and you can touch the water when you want. It splashes you a little but I didn’t need any change of clothes. We rowed for 30 minutes in the main body of the lake and after a few strokes itself my shoulder particularly on the left side started hurting. Binu told me I could row as little or as much I wanted. He had a dry bag so I could carry my camera with me. After thirty minutes we tied the kayak to the canoe which went ahead of us. We headed for breakfast at a local tea shop. After rowing for thirty minutes against the current I was eagerly looking forward to it. I had paratha and chana with vada and coffee and it was gobbled up with some speed. I asked Binu where he got his kayaks from and he said they were imported from New Zealand. He also mentioned they could do up to five night trips in a kayak. After the paddling for the day, they stay with house boats or home stays. It sounded so incredibly exciting. I also asked him if people fell into water. He said yes to that. He added that it mostly happened when people were chatting with each-other across kayaks and not paying attention to instructions given to them, mostly couples; Indian couples. Once breakfast was over it was time to head to the smaller canals. It was a little easier to paddle on a full stomach. And it was a pleasure to visit the smaller canals and see people going about their daily life. Kids were going to school, some walking, some in a boat. People use the canals to wash vessels and bath. One women said something to Binu and he told me, “She is saying tell her life is tough here, it is not easy to live.” In some ways where ever you go in the world this seems to be true in one way or the other. There were areas in flood too, where water entered the homes and life at that moment was doubly difficult. If you peer in the picture above you can see a low lying bridge. Larger boats cannot across it and we had to duck to cross it. At one point I had to go flat on the kayak to cross an obstacle! It was fun. After exploring the first small canal we went back to the main body of the lake. The kayak was tied to the boat and we tugged along it. And then we spotted it! There was a snake boat in the water for a practice run! It was fascinating to watch 110 people in one boat shouting and rowing in tandem. And this was just one boat! I can only imagine what it would be like on the actual race day. I was lucky to watch them on their practice run. Binu told me that the prices for hotels are even higher at the boat race than in season. Also you would not find a single room vacant if you did not book beforehand. After going through two smaller canals my shoulders were actually looking forward to the end of the trip, I however wanted more. The shoulders won and with hindsight it was a good thing. Later in the evening I was catching a flight back home. Next morning I was to be at work however tired I was, in order to save leaves. The kayak got tied to the boat again and we stopped at a tender coconut stall. 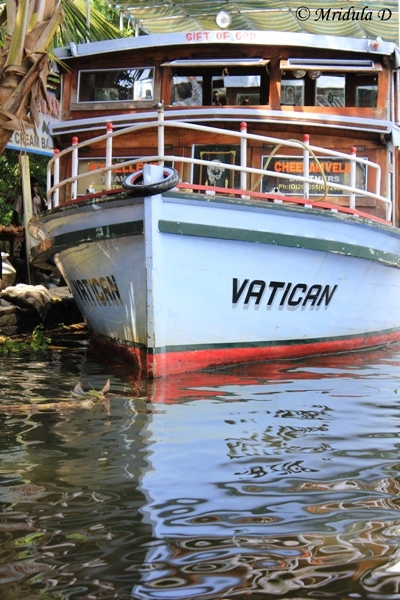 Vatican had dislodged a boat full of people ahead of me who were also after tender coconut. Our boatman took matters in his own hand and cut open a tender coconut for me. We walked back to the boat and Binu produced a fat, juicy Appam for me. It was just what I needed after spending four hours in the beautiful backwaters of Alleppey. With that we headed back to where our car was parked. This is one trip that is going to stay with me for a long time. 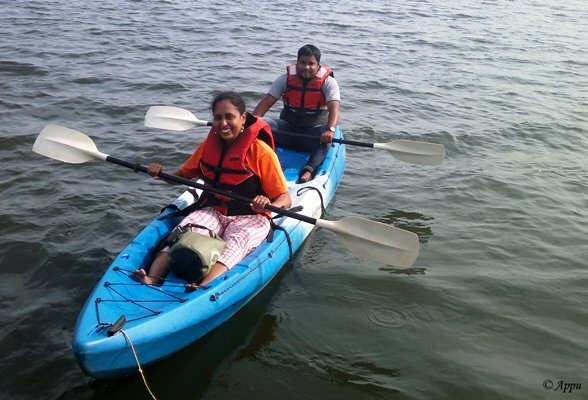 Somewhere in the middle of the trip Binu told me I was the first Indian woman who kayaked with him alone. Now that could be some sort of distinction but what is it with Indian woman? Get out and travel alone, I know it is not easy but it can be done.